OpenTravel XML Message Suite is OpenTravel's flagship schema product architected with a messaged-based design pattern that offers a set of XML messages in XSD format. Since 2002 the specification has been adopted in tens of thousands of implementations, with [previous versions] available for download. See product details or download current version here. What if you have Comments about a Schema Enhancement? The final publication of each OpenTravel XML specification is freely available to any implementer and all implementers are welcome to submit enhancement comments for OpenTravel workgroup and staff review and actioning. In addition, OpenTravel's multi-stakeholder model requires that schema releases go through member-only and public review cycles prior to final publication. On this page you can download current and past publications. Additionally, you can read a general description of the OpenTravel 1.0 Message Suite. Added simple type ListOfNumericStringLength1to16 of list type NumericStringType1to16 to OTA_SimpleTypes. Changed the max occurrences of OTA_CruiseCabinUnholdRQ/SelectedSailing/SelectedCabin to unbounded. Changed the max occurrences of OTA_CruiseCabinUnholdRS/SelectedSailing/SelectedCabin to unbounded. Changed the max occurrences of OTA_CruiseFastSellRQ/SelectedSailing/SelectedCategory to unbounded. Added attribute GuestRefNumbers of type ListOfNumericStringLength1to16, optional to OTA_CruiseFastSellRQ/SelectedSailing/SelectedCategory/SelectedCabin/ @GuestRefNumbers. Added attribute SourceOfBusiness of type xs:stringLength1to64, optional to OTA_HotelCommonTypes/InvBlockRoomType/RatePlans/RatePlan/MarketCode @SourceOfBusiness. 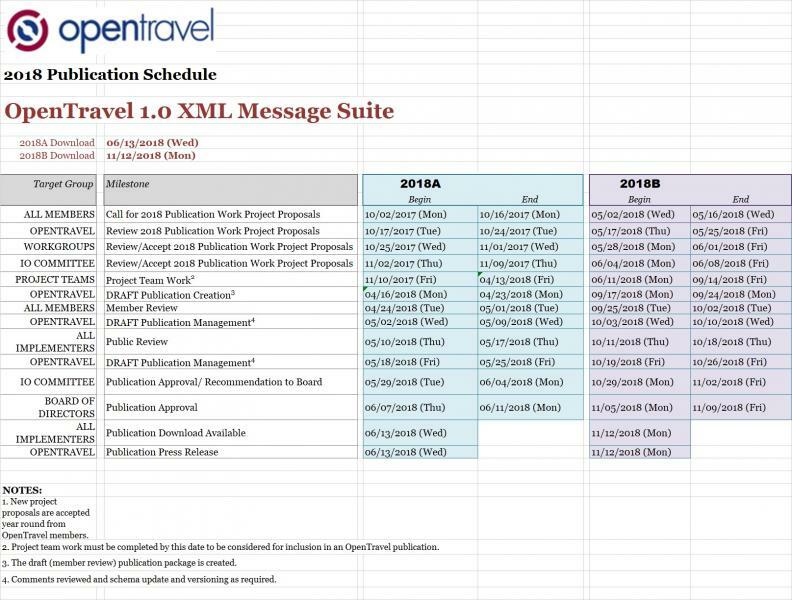 The OpenTravel XML Message Suite was created by travel industry experts and has been in publication since 2001. It contains a large collection of XML schema messages that contain the travel segment name that they serve and the type of functionality they provide. With tens of thousands of downloads of this specification, it is the preferred XML standard used by the travel industry for XML distribution between their internal systems and trading partner systems. This schema product contains a large collection of XML messages that provide booking path, ancillary service, descriptive information and generic services functionality. The message based architecture means that implementers typically use one individual message from the XML Message Suite to carry travel industry distribution data in their XML payloads in their web and http services. The OpenTravel Model Development Environment leverages multiple industry standards, including IATA, ATA and ISO and takes advantage of agile development cycles. Developers are free to focus on exchanged information - not message structure for faster time to market. Managing the model is faster because developers can use the OTM-DE compiler component to automatically generate schema that conform to the OpenTravel Model. Models contain organized collections of summary, detail and query attributes and elements so impementers can create light-weight or functionally rich transactions by "binding" to a collection. For more details check out the OpenTravel Model presentation. OpenTravel released the Model Designer source code on GitHub. The goal is to minimize additional coding required to deal with the mismatch between manually developed schema and applications' information models. OpenTravel Model Designer handles the serialization of the objects for sending across the network. For further detail on the Model Designer visit the Model Designer page in the Implementer Support section of ODN. OpenTravel has been producing open standard xml specifications for the global travel and leisure industry for over twelve years. OpenTravel recognizes the need for open standards to cultivate the growing complexity of distribution technology. By releasing the Model Designer to everyone interested in building model driven architecture, OpenTravel seeks to fertilize the brightest minds and create a platform that elevates the business of travel experience. 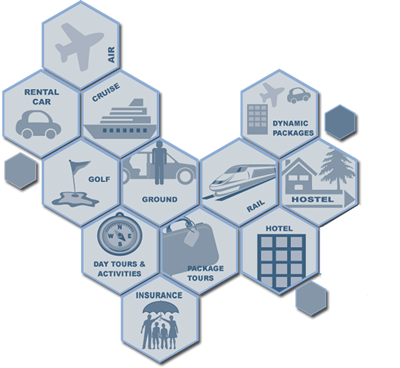 The OpenTravel specification contains XML business functionality for numerous travel segments. In addition to mature segments, including airline, car rental and hotel, OpenTravel schema products support emerging segments such as day tours & activities, golf and ground transportation. Since 2001, OpenTravel has been producing open standards for the travel industry that have been implemented by hundreds of travel companies worldwide to create commercial solutions.